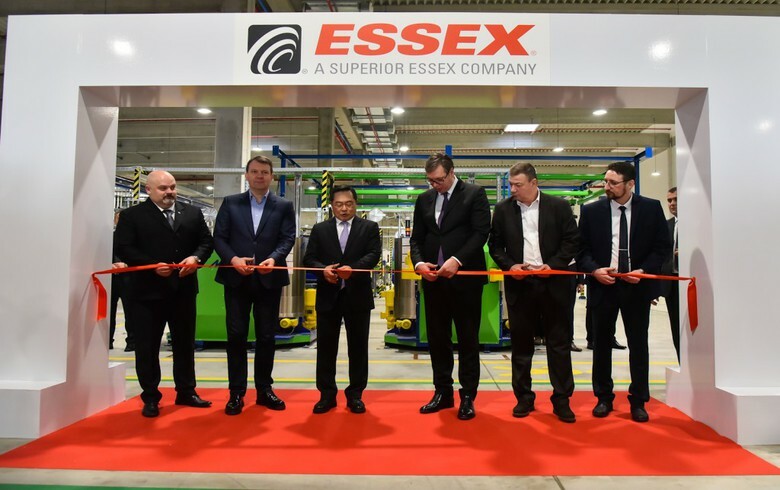 BELGRADE (Serbia), November 29 (SeeNews) - US-based magnet wire manufacturer Superior Essex has opened a 30 million euro ($34.1 million) factory in Zrenjanin, the government of the northern Serbian province of Vojvodina said on Thursday. The company will hire 160 employees at the factory and they will receive salaries above the average for Serbia, the Vojvodina government said in a statement. Serbia's central government provided a 1.6 million euro financing to Superior Essex for the construction of the factory with a footprint of 16,000 square metres, Serbian president Aleksandar Vucic said during an official bricklaying ceremony in March. Superior Essex, based in Atlanta, Georgia, is the largest global manufacturer of magnet and winding wire globally, operating facilities in seven countries. The company is a subsidiary of South Korean conglomerate LS Group.